Last year’s The Stone Cutters team are back for another year! 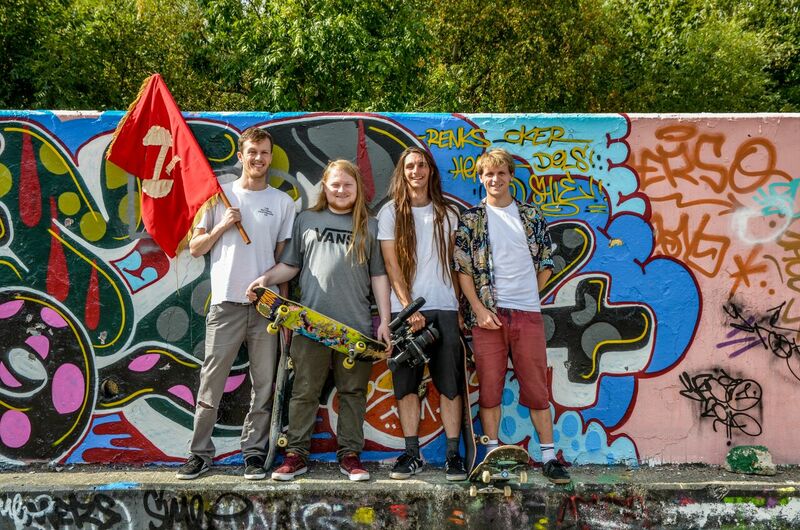 Cornwall’s Batfink and Tim Parsons were joined by Essex local AJ Martin, and Kent locals Simon Denny and Patrick McCurry to form this year’s cracking team of skaters. We camped out, drank cider, sang sea shanties and skated harder than we all have all year.